Do you prefer to have more control over your web hosting? Your answer is bound to be ‘Yes’ because webmasters prefer keeping their websites completely in their control, without having to depend on some third party for managing their hosting services. If you haven’t tried out a web hosting provider yourself because you fear you don’t have enough technical expertise, then, please think again! Web hosting providers have evolved so much over the years that you can rely on their support to get your website or blog up and running easily with optimum performance statistics. If you have done a bit of research on various hosting service providers, you must have come across the name, ‘InMotion.’ They are a very popular web hosting provider that has won accolades and rewards on several hosting review sites. These awards include a top rating from CNET which InMotion have had now for 14 years. Your hosting needs in terms of reliability, speed, security, and support, are well-served by InMotion hosting. So in this article, we will take a look at the features, advantages, disadvantages and various hosting plans offered by InMotion. This will help you to understand if InMotion is right for your website. Trusting a company that has been around for some time is a lot easier. InMotion was founded way back in 2001 and has been reviewed by technology news portals and review websites rather regularly. The initial years were spent in establishing its services, but after that, InMotion started gaining recognition from reviewers all over the world. The company currently has two offices, one located on the west coast (Los Angeles, CA), and the other on the east coast (Virginia Beach, VA) in the U.S.
InMotion has the highest possible, A+ service rating from the BBB (Better Business Bureau), which is a consumer protection agency that reviews businesses (in the U.S. and Canada) with regards to their performance and integrity. This clearly proves the tremendous trust they enjoy from their customers for extremely reliable delivery of hosting services. Now that you know the company background, the next most important thing to check is the various features on offer. 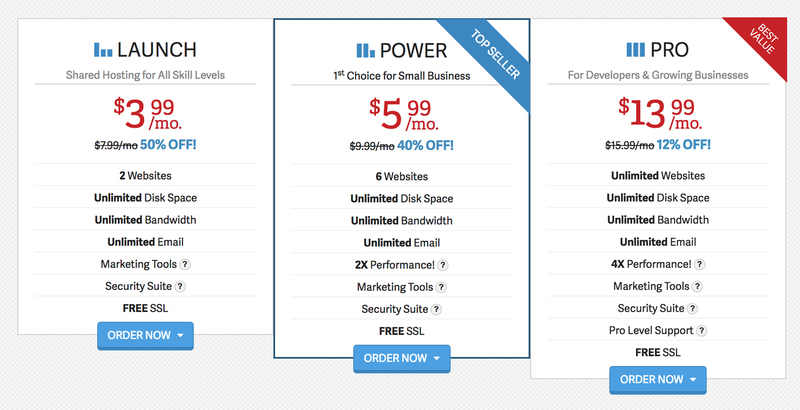 Deciding a web hosting service based on price alone is one of the worst things you can do. So, before forming an opinion about InMotion hosting services, let’s take a look at the features on offer. Let’s take a detailed look at the features offered by InMotion. 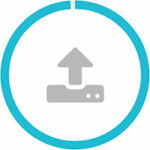 According to our tests, InMotion has the best uptime levels of all the hosts reviewed on this site. 10/10 for support and assistance. The uptime offered is one of the first features you should consider. You don’t want to end up with a hosting service whose servers keep going down every few months. Though no company can deliver 0% downtime, web hosting services should ideally provide 99.99% uptime because every minute your website is down can impact your website traffic significantly. InMotion offers 99.99% uptime and can actually deliver because of their high-performance, PCI compliant servers. Seeing the number of happy customers they have over the years is also a testament to their claims of 99.9% uptime. We tried to test this claim with a trial-hosting plan from InMotion and the results were up to the mark. Not only that, but InMotion offer zero downtime site transfers which greatly reduces the impact when switching to them from another host, or when switching between their different hosting plans. Another important consideration is how fast the servers are. The amount of time a site takes to load often has a huge impact on site visitors and the amount of time they spend on your website. Ideally, you’d want your site to load quickly. Another benefit of faster page load speeds is better ranking in search engines like Google. For this purpose, InMotion uses SSD (Solid State Drives) on their servers instead of the old spinning, mechanical hard drives for every hosting plan that they offer. These SSD servers improve performance considerably when compared to the traditional servers. This is ideal for larger websites with heavy traffic and even eCommerce based sites. You may argue that you have a small website and don’t need SSD servers right now. However, if you think about the long-term, your website will eventually grow and you will need better performing servers eventually to avoid compromising on performance quality and page speed. If you do a bit of research, many good hosting companies are making a move to SSD servers. The best part about InMotion is that it relies on SSD servers for all their hosting plans by default. A unique feature offered by InMotion (and the only hosting company to do so) is the ‘Max Speed Zones’ facility through its multiple data centres. Website access speed can be improved considerably if the visitor is at a location closer to the data centre hosting your site. To enable such improved speed and performance for your website, InMotion uses the western region data centre for customers from Asia, Australia, the South Pacific, and North America, and the eastern region data centre for customers from South America, Europe, and Africa. InMotion offers faster connections through peering that leads to direct data connections (between servers). To deliver this service, InMotion has collaborated with some of the largest ISPs and peer exchanges in the world. Security is another major concern for websites or blogs. With InMotion hosting services, you get better security. They have around four Tier 1 ISP providers to ensure smooth data flow with multiple backups in case of an emergency (such as a natural disaster).Their data centres are highly secured with scanners, armed guards and are kept in locked vaults. Such kind of high-end security clearly implies that your websites are safe and secure within InMotion servers. In order to ensure safe browsing, you can opt to buy SSL certificates ($99.99 per year with an installation fee of $25), which also includes a dedicated IP address. For the security of email accounts, InMotion also offers McAfee spam & virus protection (starting at $1.39 per month). In terms of site backups, well InMotion provide automated and free data backups included with every plan. If you don’t want to indulge in the technicalities, you should always look for a hosting provider that has terrific customer support. Even if you are technically sound, you will want someone to assist you quickly when you are facing some server-side issues in real-time when every minute matters. Whatever your level of experience, when you contact support you want to trust that it will be effective. There is nothing more frustrating than contacting a support team only to know full well that you know more than the person on the other side of the phone and that you are going to struggle to get anywhere. You don’t have to worry about this with InMotion. One of the key factors in favour of InMotion is the various ways by which customers can reach out to their support team or technical experts. You can raise a support ticket or contact them via email. Alternatively, you can call the InMotion support team directly using their 24/7 toll-free telephone number. You can also contact the support staff through their ‘Live Chat.’ In most cases, the InMotion live chat and telephone support response are the quickest and get the job done faster. They don’t outsource their customer support to businesses at offshore locations. The InMotion support staff goes through a rigorous internal training program and is based entirely in the U.S.
InMotion offers a slightly customised version of the industry standard cPanel. You can install Softaculous on the cPanel to speed up the setup process for WordPress, Joomla, Drupal, PrestaShop, phpBB, AbanteCart, Magento, MyBB or other PHP scripts. For security, the control panel enables password management, IP management, and Shell access by default. It also makes it very easy to manage hosted email accounts. The customised cPanel offers greater control over your websites. Normally $7.99 per month (annual subscription), with our discount ( 50% OFF ) it’s currently only $3.99 per month + FREE SSL CERTIFICATE when you take a 24-month term, or $4.99 for an annual term. There is no month to month option for the Launch plan. You can host two separate websites, unlimted email addresses, and two MySQL databases. Normally $9.99 per month (annual subscription), currently only $5.99 per month + FREE SSL CERTIFICATE with our discount when you take a 24-month term, or $6.99 for an annual term. There is no month to month option for the Power plan. 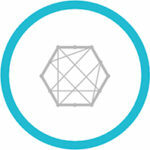 You can host six separate websites, unlimited emails and 6 MySQL databases. You also get access to a much more powerful server with their x2 performance servers. Normally $15.99 per month (annual subscription) with unlimited websites, unlimited domains with email and unlimited MySQL databases. The lastest deal on this plan is just $13.99 p/m + FREE SSL CERTS when you take a 12-month term, $14.99 per month for a 6 month term or $17.99 for an month by month term. In addition to the Shared Business hosting packages, for exactly the same price InMotion offer WordPress Optimized hosting packages. As part of a WordPress Optimized set up you can get WordPress pre-installed by a technical expert, automatic updates, free site and database backups and WP-CLI integration. These are essentially the same hosting plans but optimized for WordPress. Normally $39.99 per month (2 year subscription) currently only $27.99 per month, or you could take a 12 month subscription for just £29.99 per month. 6-month subscription will cost for $34.99 per month, or a monthly subscription for $39.99 per month. Normally $79.99 per month (2 year subscription) currently only $44.99 per month That’s a massive 43% OFF. Alternatively, you could take a 6-month subscription for $59.99 per month, or a monthly subscription for $69.99 per month. Normally $144.99 per month (annual subscription) currently only $64.99 per month That’s a huge 55% OFF normal price. Alternatively, you could take a 6-month subscription for $79.99 per month, or a monthly subscription for $89.99 per month. These plans offer single processor and dual processor dedicated, Linux servers with LAMP stack. InMotion provides a dedicated managed server hosting team for server monitoring and customised configurations. InMotion provide SSH and Root access to their servers, which isn’t all that common from a host, but incredibly useful. Each managed plan also comes with between two and four hours of experienced system admin time at launch, and this is great for peace of mind when it comes to ensuring everything is configured and set up correctly for your own needs. Essential – Normally $189.99 per month (annual subscription) Latest deal only $99.99 per month That’s 47% OFF normal price. Advanced – Normally $219.99 per month (annual subscription) currently only $159.99 per month That’s 27% OFF normal price. 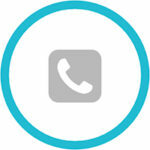 Elite – Normally $299.99 per month (annual subscription) currently only $229.99 per month That’s 23% OFF normal price. Commercial Class 500 – Normally $419.99 per month (annual subscription) Latest Deal: $369.99 per month – That’s 11% OFF the normal price! 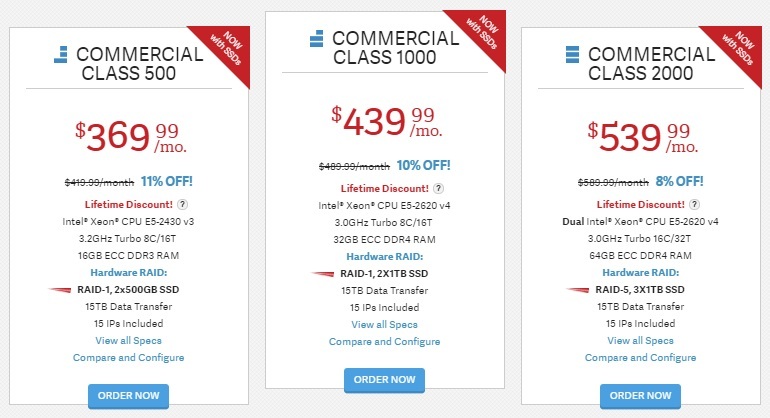 Commercial Class 1000 – at $489.99 per month (annual subscription) Latest Deal: $439.99 per month – That’s 10% OFF the normal price! Commercial Class 2000 – at $589.99 per month (annual subscription) Latest Deal: $539.99 per month – That’s 8% OFF the normal price! The last three plans also classify as enterprise hosting service plans. Be aware that, the pricing here is representative of an ‘off the shelf’ configuration. Any customization that takes place to add any additional hardware or software will of course come at a price. R-1000S – Normal price $27.99 per month. Latest Deal: $13.99 per month for a monthly subscription – That’s 50% OFF the normal price! Alternatively, you can take an annual subscription at $22.39 per month or a biennial subscription at $19.99 per month. Don’t let this fool you, the 2-year subscription is still the cheapest and we explain this below. R-2000S – Normal price $39.99 per month. Latest Deal: $19.99 per month for a monthly subscription – That’s 50% OFF the normal price! Alternatively, you can take an annual subscription at $31.99 per month or a biennial subscription at $27.99 per month. R-3000S – Normal price $54.99 per month. Latest Deal: $27.49 per month for a monthly subscription – That’s 50% OFF the normal price! Alternatively, you can take an annual subscription at $43.99 per month or a biennial subscription at $38.49 per month. You might be scratching your head at this point and wondering why it is cheaper to take out a 1 month subscription ($13.99 for R-1000S) than the monthly price ($19.99 for R-1000S) for a 2-year subscription. Don’t be fooled by this. The discount applies to the first term only. If you take out a monthly subscription, then once your first month is paid at $13.99 the price reverts back to the full rate at $27.99 per month for each following month, as your first ‘term’ is only for one month. However, if you take out the 2-year subscription at $19.99 per month, that is the monthly rate for the full 2 years as this is your ‘first term’. I hope this is clear. Its managed WordPress hosting services offer no limitations on several features with unlimited websites, disk space, page views, as well as data transfers per month. 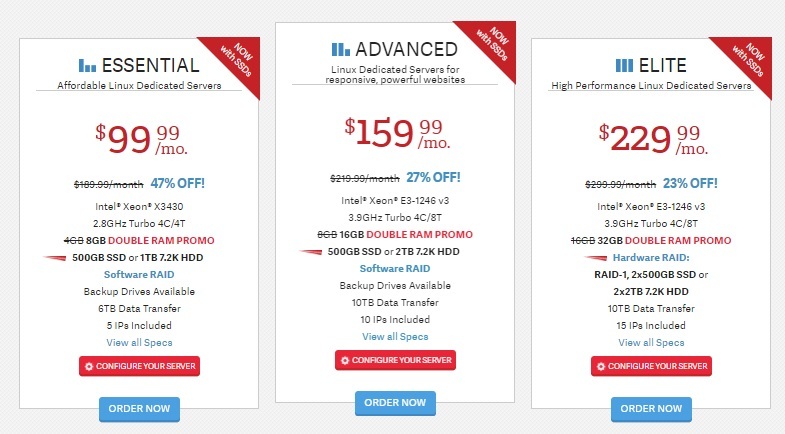 A key benefit is the unusually long, 90-day money back guarantee offered for most InMotion hosting plans (except for the dedicated server plans). It offers unlimited emails at all levels, and SSD drives on all shared hosting plans, that is a pretty big plus..
Their ‘Go Green’ initiative with dedicated efforts to decrease the carbon footprint of their data centres along with the implementation of green cooling methods. The only drawback seems to be the high pricing of their VPS hosting plans (especially the renewal rates after the first year) as compared to any other service providers (like BlueHost) that offer similar services. In addition to that, most managed hosting packages that you find are ‘all inclusive’ when it comes to support, and part of the package price. So having this support service as an ‘add on’ is not the best. Overall, InMotion ticks most boxes in our ideal web hosting service checklist. They have a large variety of hosting plans at various price points and features, making it easier for you to find the plan that fits your needs best. The free eCommerce tools, free SSD storage, excellent support staff, and reliability work significantly in their favour. So what hosting provider are you using currently? What made you consider switching to another hosting service? Let us know in the comments below, and thanks for reading! 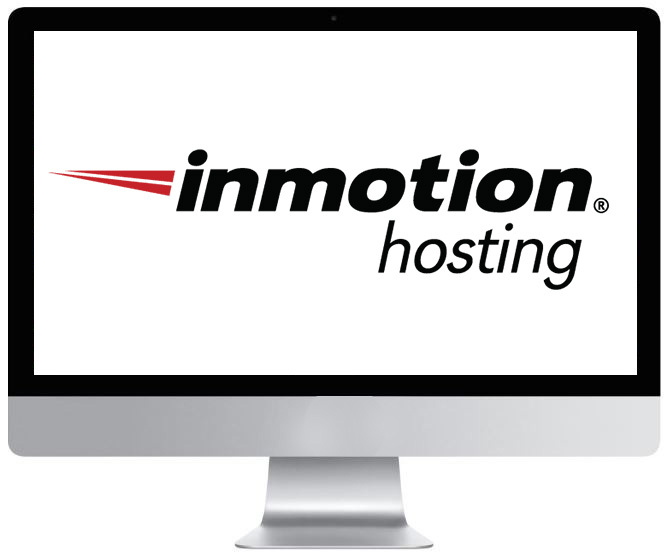 Have you used InMotion’s hosting services? What were their best features and major disadvantages as per your experience? Let us know in the comments below, and thanks for reading!